I love a happy ending. Nicely done. Pizza and a date - result! Great Bettina! 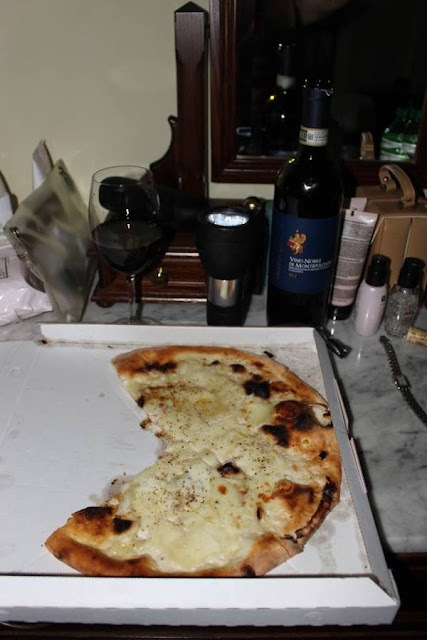 The online dating theme goes perfectly with the cheese pizza & wine :-) Great idea. Hope the date goes well! Saved by the bell. :) Nice tale so far. Good luck Alan... I hope he remembered to wipe his chin? Enjoyed! !